We looked at 7 of the scariest moments that spooked us in unsuspecting games last year, but that’s just the tip of the iceberg! We’ve got another 7 surprising twists into horror from games that we really weren’t expecting to suddenly give us nightmares. Because video game developers really like to freak us out for some reason. Last year I had the entire Legend of Zelda series as an honourable mention, which I now realize just isn’t fair. If any series is known for its unexpected and sometimes totally unnecessary scares, it’s Zelda. 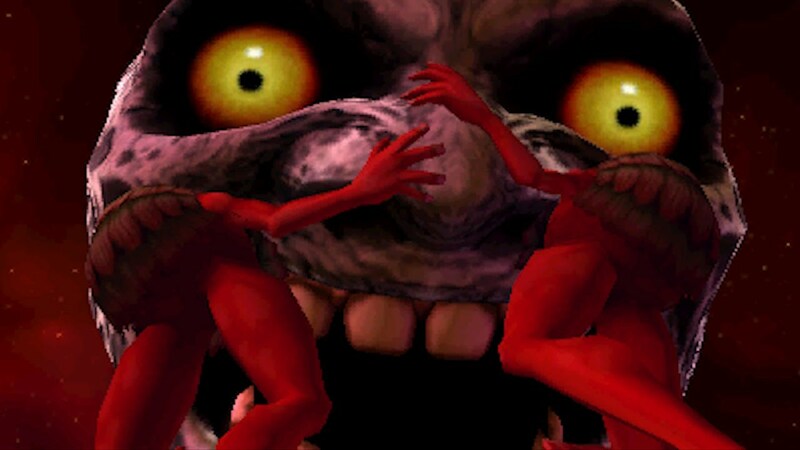 And no other game in the franchise is best known for its spooks than Majora’s Mask, the disturbing black sheep of the series. Majora’s Mask’s structure is well known by now, with Link travelling to the unknown land of Termina and being given a strict 3-day time limit to stop the moon from crashing down on the world below. It’s a big departure from the relatively fun adventures found in its predecessor The Ocarina of Time, with Majora’s Mask dripping with somber atmosphere and the ever-present looming dread of the end of the world. Not only is the coming end of days signaled by periodic title cards letting players know just how little time they have left and the eerie change in music over the days. No, the worst reminder by far is the enormous and awful moon hanging above the world, staring down with a terrifying face, slowly growing closer and closer until it shatters into the ground. The Metroid series is known for its heavy atmosphere and emphasis on the feelings of isolation as Samus Aran explores vast alien worlds. Metroid Prime took this sensation to new heights in its successful move to the third dimension, perfectly capturing the essence of the 2D games before it – including their sense of seclusion and danger. After travelling through the frigid yet beautiful ruins of Phendrana Drifts, players will find themselves delving into the space pirate research bases in search of new equipment. After making your way to the bottom of one such bunker, Samus will be equipped with a new Thermal Visor allowing her to see heat signatures. Unfortunately, players immediately have to make use of her new visor as the lights dim and you find yourself trapped in the dark. If fighting off scores of space pirates and metroids in pitch black wasn’t terrifying enough, the newly acquired visor itself gives off an indiscernible and very creepy sound effect, which absolutely got under my skin as a child. Seriously, what is up with that eerie sound loop? Minecraft is now a staple of the gaming world, spawning spin-offs, countless YouTube shows, and a huge amount of merchandising. It’s now become so ingrained in popular culture, it’s almost hard to remember exactly how mysterious it first was when it was officially released back in 2011 and most players were still uncovering how to even play it properly. Like the Legend of Zelda, Pokemon is another Nintendo series known for its charm and light nature. But this sense of child-like wonder only serves to heighten the moments where things begin to get a bit creepy. Nowhere else is this sudden shift in tone more palpable than the first generation of games’ Lavender Town. As players exit from a cave in the north into the small secluded town, the uncanny mood is immediately set by the town’s infamous haunting theme song. The town’s main centerpiece is the Pokemon Tower, a site used as a graveyard for Pokemon and occupied by possessed channelers and ghost-type creatures. While there’s nothing explicitly scary about the town, it’s nevertheless a huge catalyst for fan theories and creepypastas. 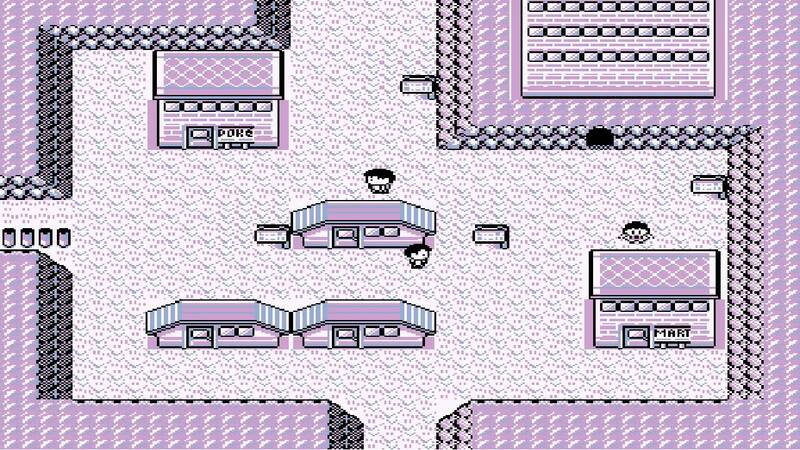 Chief among these myths swirling around the town is the one called the “Lavender Town syndrome”, a rumour that the town’s ominous music has actually been known to make children sick and eventually commit suicide. Obviously, all the speculation and worry about the town is simply the work of some overactive imaginations of the children who all grew up playing the game and we can all just relax… right? Or does anyone else feel strangely unsettled listening to the tune? While an argument can definitely be made that the first Bioshock game belongs in the horror genre, its sequel Bioshock Infinite certainly is not. Infinite managed to take a major shift away from the dark and claustrophobic feeling of the first game towards a more painterly and vivid landscape in the sky. Gone are the unsettling creaks and moans of a decrepit submerged city, now replaced with the angelic land of Columbia. That is, until the player character, Booker, is transported to Columbia’s dark future. The bright and colourful world is suddenly replaced by one falling to ruin and despair, and the player is forced to stealth their way past patrolling automatons in a (mostly) abandoned prison. All the while you’ll learn of the ramifications of this future, as the girl you’re tasked with saving has been slowly tortured and broken down over the years by your failure in this timeline. 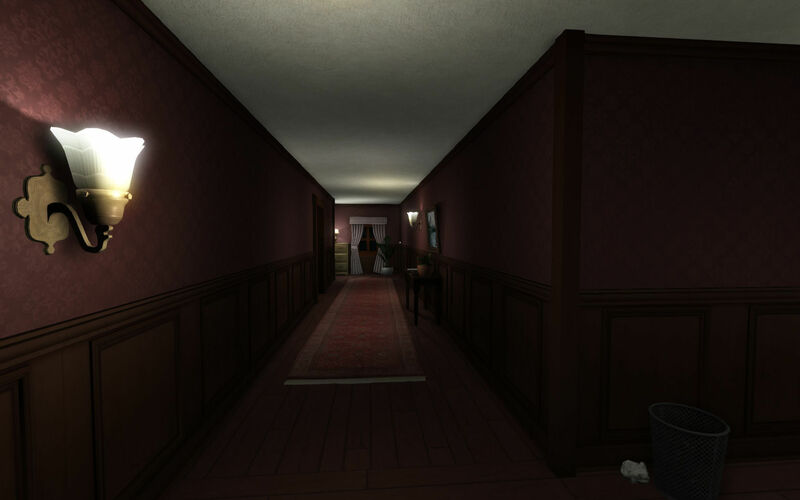 It’s unnerving enough in is own right, but what really solidifies its place on this list is the totally out of nowhere jump-scare, the only one in the game in fact. This list just wouldn’t be complete without at least one mean jump-scare. Psychonauts is a game all about delving into characters’ twisted psyches and mindscapes. So, it’s no wonder that there are more than a few creepy instances as you hop through a variety of weird consciousness. From a neon-lit Spanish city terrorized by a mad bull rampaging through the streets to a neighbourhood filled with mysterious disguised agents, it’s an understatement to say this game is totally off-the-walls. Surprisingly, (or maybe not for this list) it’s one of the game’s more innocent levels that houses one of its darkest moments. At some point, the game’s protagonist Raz finds himself in the mind of the Psychonaut agent Milla Vodello, a cheery hippie woman with a passion for partying. As expected, the level that takes place inside her mind is a groovy disco party complete with dancers and a hot beat. But after some exploring, it seems the lively festivities are actually used to bury the deeper nightmares that she’s trapped within her subconscious. In a hidden room that resides within her psyche, Raz is able to discover Milla’s tragic backstory. The seemingly carefree woman actually used to be an orphanage caretaker, until it one day suddenly burned down with the screaming children still inside, and she was forced to telepathically hear their dying cries. If that horrible origin wasn’t enough, Raz can travel even deeper to reveal the nightmare she keeps at bay in her mind, represented by a hellish world with demonic presences whispering their suffering -“Milla, why don’t you help us?”, “It’s hot! It’s burning!” … Yeah, enjoy returning to the party after seeing that. Gone Home is a beautiful game that allows players to peer into the life of a confused teenage girl as she attempts to make sense of her sexuality. Its narrative even manages to make for subtle clues on the whole family’s lives and the problems that plague them. It’s truly an imaginative and poignant method of environmental storytelling. Of course, I realized none of this for about 90% of the game because it’s just so darn creepy. At the onset. the player finds themselves in the role of Kaitlin Greenbriar as she arrives at her new home after being overseas, now left deserted by her family. And while the house actually is entirely empty and there’s nothing truly horrifying about it, the game makes sure you question that security the whole way through. On top of having to search through a huge dark house right in the middle of a thunderstorm, you’ll hear creaks and groans echo through the halls as the night carries on. While this is common in any large old house, it definitely begins to play tricks on you as you periodically tense up for what could be an imminent jump-scare. 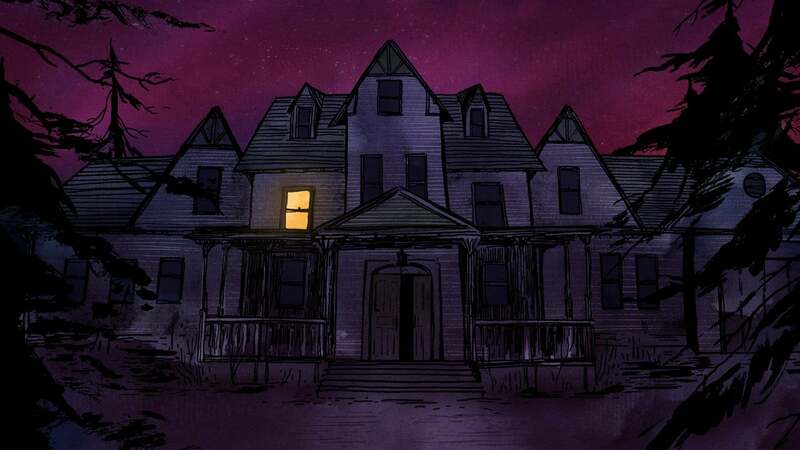 And Gone Home plays with these expectations the whole way through, setting up numerous instances that seem terrifying only to be explained away, like red hair dye staining the bathtub or light bulbs suddenly popping. Gone Home remains so mysterious for such a huge portion of its length that I wasn’t entirely sure if it actually was a horror game right up until the very end. Ultimately, all my fear was just the product of my own mind overthinking itself… Until you look into theories of the game’s subplot, and that the house was actually previously owned by the father’s childhood abuser, sending him into crippling depression.